Bring your suitcase that’s all you’ll need! This luxury townhome is being sold furnished. Behind the gate at Hassayampa. On the third hole of the Capital Canyon Golf Course. Right on Aspen Creek. Live on one level. First floor master suite. Great room with walls of windows overlooking the creek and golf course. Custom cabinetry on fireplace surround and sound system enclosure. Kitchen with floor to ceiling custom cabinets. New kitchen Aid stainless steel appliances. Large deck with gas grill. Lower level master/family room with bath. Custom office with desk and built ins. Walk out to the large tiled floor screened porch. Large wood fenced dog run. Upper level with 2 master bedrooms each with a private deck. Beautiful furnished with everything. Call to see this today! Approximate size: 3485.00 sq. ft. 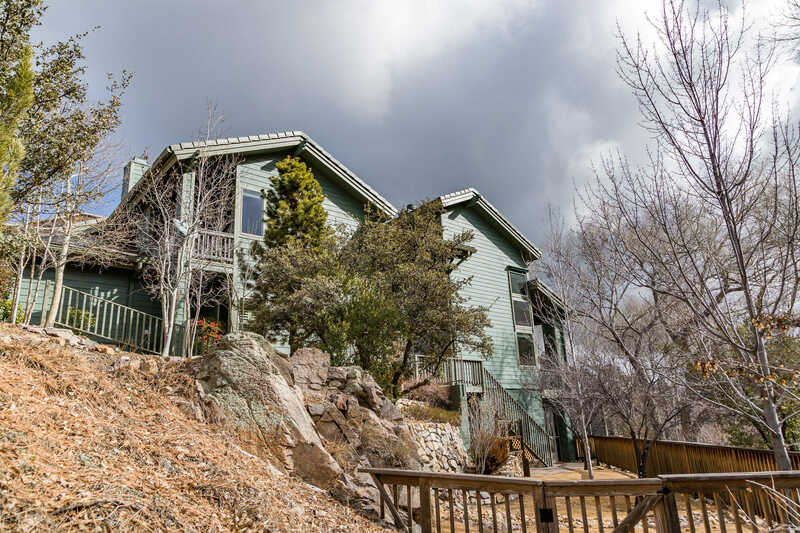 Please, send me more information on this property: MLS# 5888137 – $599,900 – 779 Hideaway Lane, Prescott, AZ 86303. I would like to schedule a showing appointment for this property: MLS# 5888137 – $599,900 – 779 Hideaway Lane, Prescott, AZ 86303.